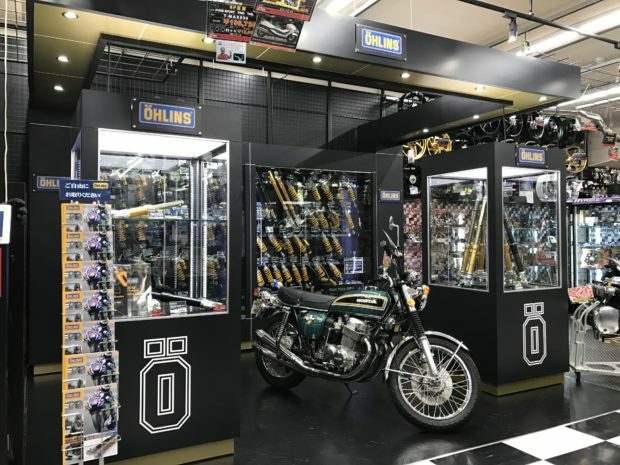 In the past year or so, C has really taken up a huge interest in motorcycles, so naturally when we went to Japan we wanted to check out the motorcycle gear scene! 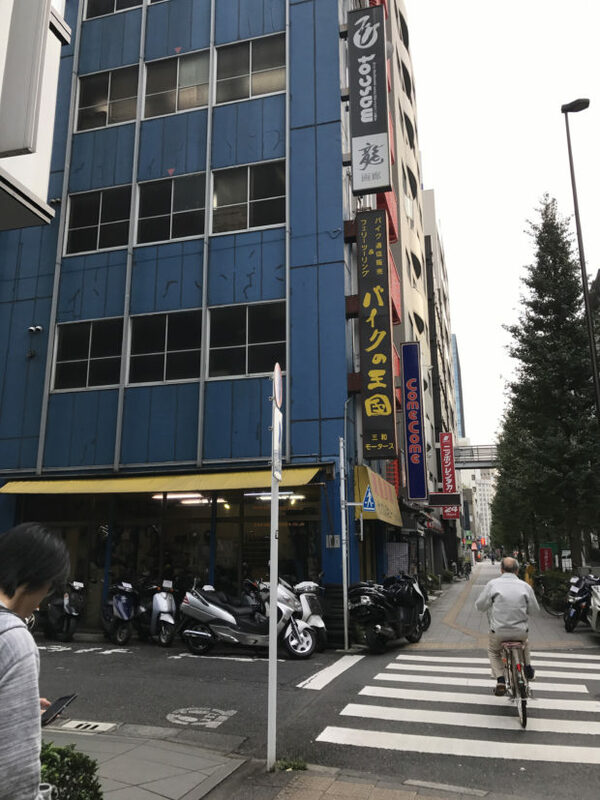 I had heard that Ueno used to have tons of these motorcycle shops, but it has changed in the past couple of years, so I wanted to make sure we were heading to the right stops. This guide is really for sport bike motorcycle gear, but I am no connoisseur for these items whatsoever, so forgive my lack of knowledge! First store we headed to was Ricoland, which is perhaps the largest store. This branch at the Tokyo Bay Shinonome is just beside Super Autobacs which we wanted to visit anyway, so it was perfect. It was the one and only rainy day we had in Japan! 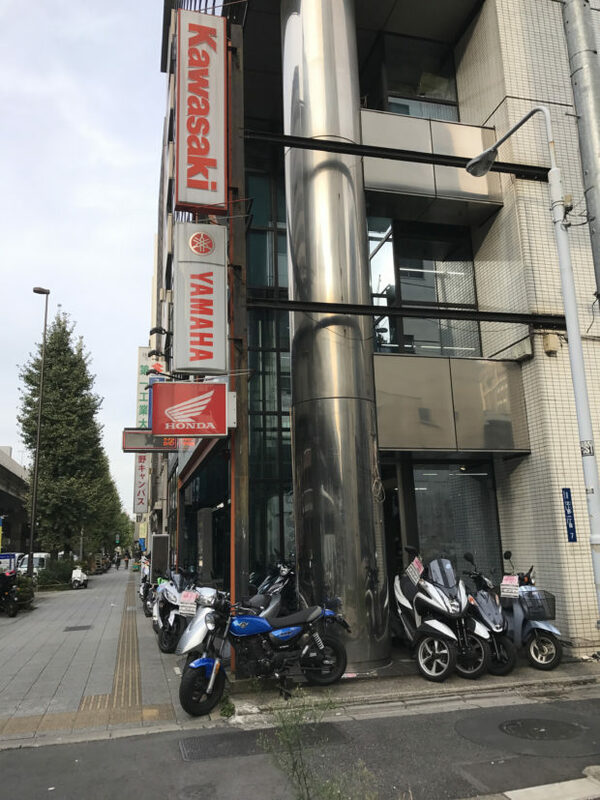 When we stepped in the store we knew that it probably had a preference for Yamaha, with the large Yamaha selection of clothing and gear, featuring Rossi and Lorenzo. Where to start?? There was a long row of beautiful sport bike helmets - Arai, Shoei, AGV, and some lesser known Japanese brands. The expensive ones were inside a case. 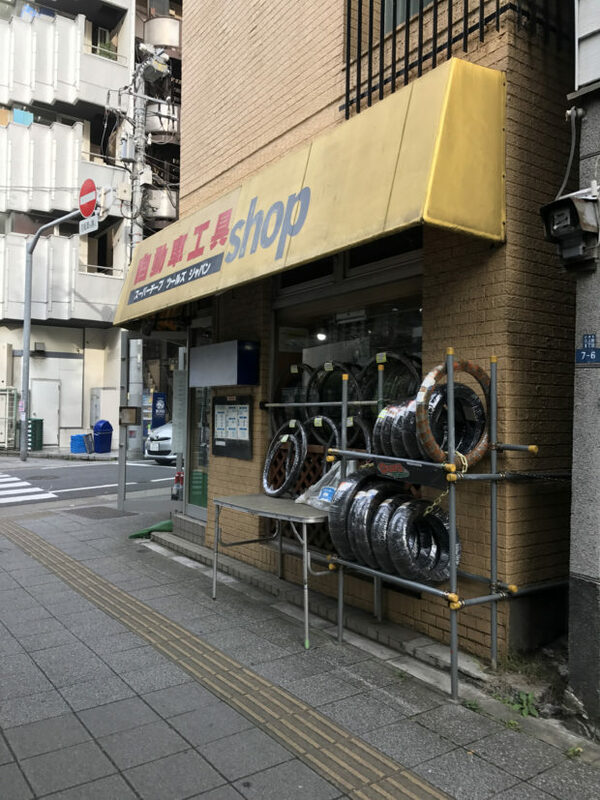 This store also had tons of parts. It was gonna be hard to bring home, so we just skimmed by this area mostly. 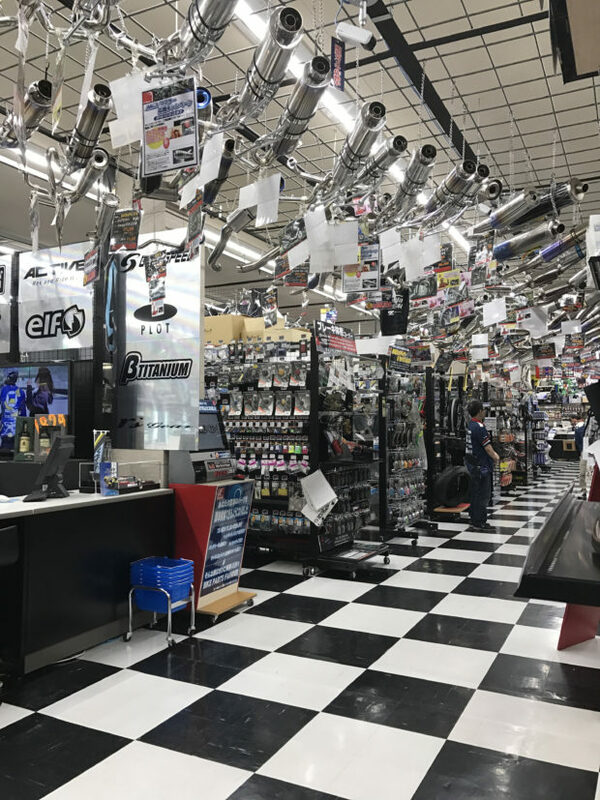 Thought it was super cool seeing all the different kinds of exhausts up in the ceiling! And oh ladies, there's also a section to sit down and relax, read some magazines if you feel like! The saleswoman kept trying to ask me if I wanted to sit down (hahaha!) and wait for the hubby to finish his rounds. And that's about it for Ricoland. Next stop, we went to Naps Adachi. Like Ricoland they have many branches all over Japan, but we picked the one closest to us. This one was nestled in a very residential area, and thought it was super cool that it's in the middle of nowhere! The first floor had tons of second hand bikes, but mostly scooters, and no sport bikes. Up the second floor we found a nice MotoGP selection of goodies, and all kinds of motorcycle clothing/gear. We're heading to Sepang MotoGP this week so we held back on buying some of the MotoGP memorabilia. I'll have to update you if the prices are more or less! I'm also a huge fan of MotoGP so this little section was super fun for me, personally! I just wanted to buy all the Marc Marquez stuff, so excited that he is now the 2016 MotoGP champion after the epic Twin Motegi race. 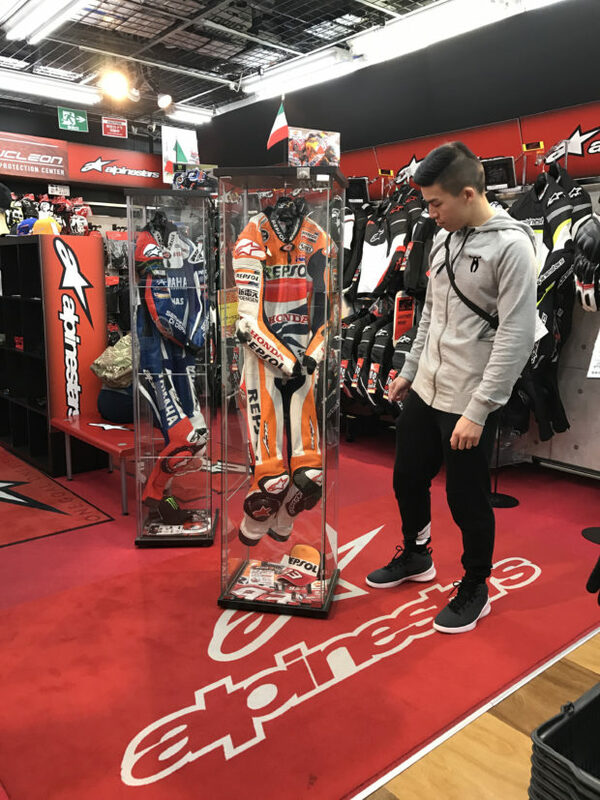 I liked how this store had it laid out by brands, and the Alpinestars one had Marquez, Lorenzo and Pedrosa's actual suits displayed! So cool!! We are anticipating not being able to get a photograph with them in person so I am happy to see this already LOL. Another large helmet area. Maybe it was just because they were on sale, but they had the best prices for helmets across the board. I would recommend buying them here instead of Ricoland for pricing. Then, we went on the third floor and yep! Parts everywhere. It was really cool honestly seeing everything, it was really fun for me too. Then we headed to Ueno. We came out the south JR exit and walked east and north, but later on we found another entrance/exit that was a tad closer to the row of motorcycle shops. They were all fairly small in size. 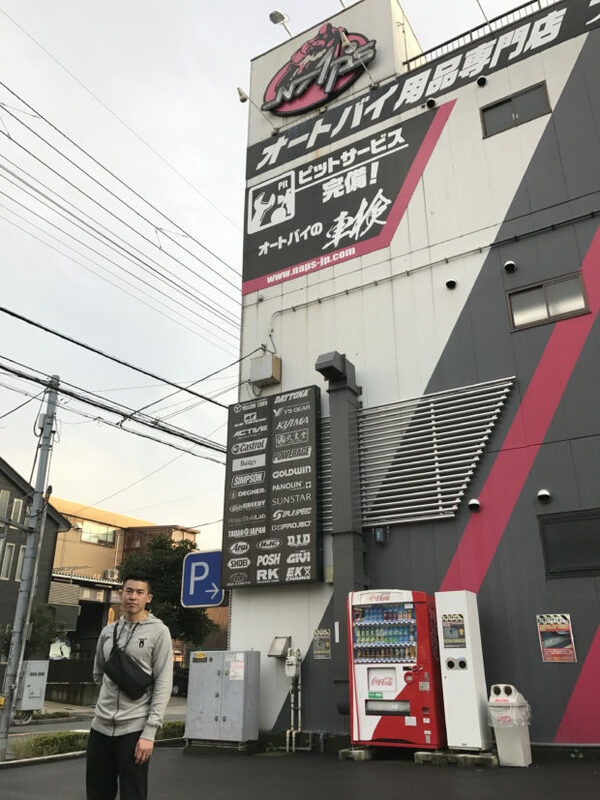 We walked beside the station and turned right after the Iwakura High School (there's a JR exit close here too), and we found this Big Beat store. Not so much sport bike stuff, but motorcycle gear for sure. It had two floors, and the second one had a small selection of helmets, but nothing spectacular. Walked a little further down the street and found another Big Beat. Then, we turned left at the corner of the main street and we found Rabee. It's the biggest store we found in the area. They were watching me left right and centre so I couldn't really take photos inside! 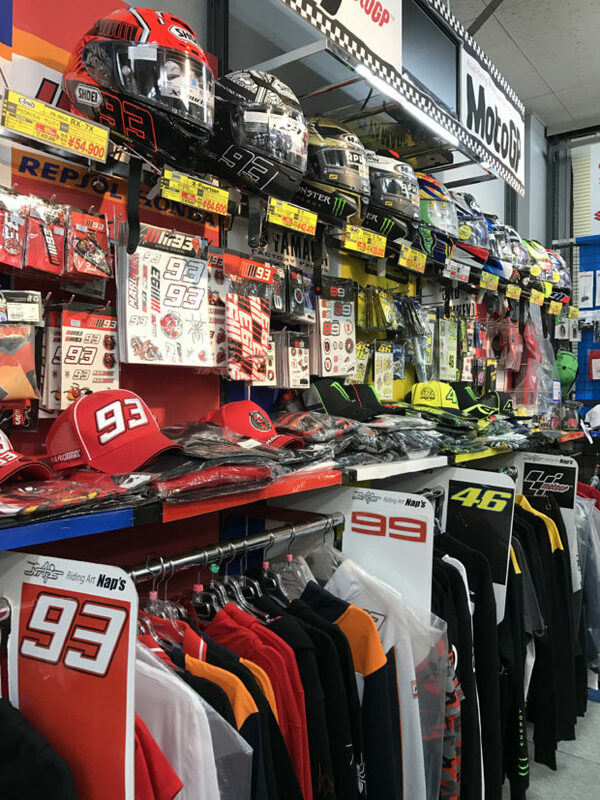 But the first floor had a lot of clothing and gear, the second one had a MotoGP selection of goods, helmets, more clothing, etc. Had some more dirt bike stuff. 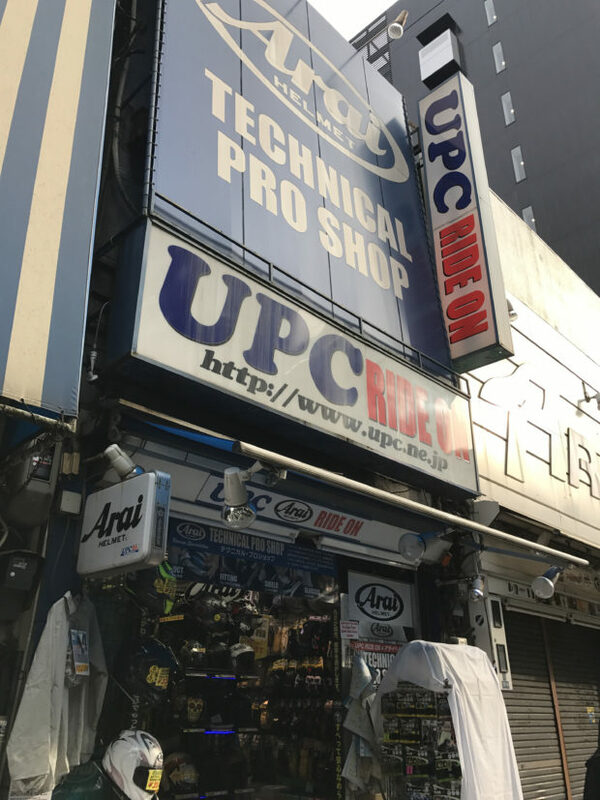 Then we crossed the street and found UPC Ride On, a small store with mostly Arai helmets. 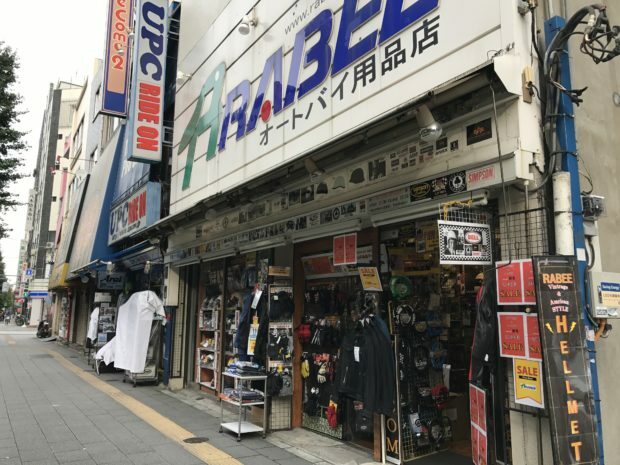 Right beside it is a smaller Rabee store. From there we headed North and we found a couple more stores. This one is the first one we found with actual new bikes in it, a lot of the ones were just gear or if ever they had second hand bikes. And that's about it! Not a huge area in Ueno. Hubby got mostly what he wanted in Ricoland and Naps, and because we weren't looking for parts we were happy campers. 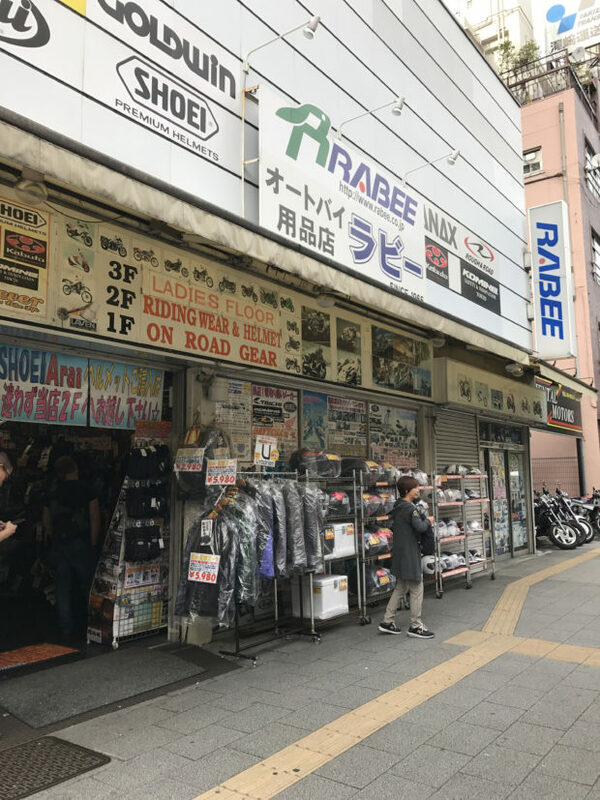 Hope this guide gives you a little bit of an update on motorcycle gear shopping in Tokyo and Ueno!